SUMMERSIDE – ​It is now a three-way race for Summerside’s top job. Entrepreneur, community volunteer and advocate, Nancy Beth Guptill, has joined the race to become mayor of the City of Summerside this November. Guptill has lived in Summerside for most of her life, and has a deep affection for her home community, wanting to see it and its people prosper and thrive. Being a single parent, she chose to return home to launch her business and raise her daughter, who is now in university. “I have deep roots here and I am committed to our community. I have served in different roles and capacities to help make Summerside a thriving and prosperous community where all members of our society feel safe, welcomed, valued and supported, with access to a quality of life -- we all deserve that,” said Guptill. It comes as no surprise that Guptill has a keen interest in municipal politics, being the daughter of one of PEI’s Famous Five, former Speaker of the Legislative Assembly and a former Summerside councillor Nancy Guptill. “Seeing new candidates with diverse backgrounds put their names forward, including a number of female candidates, really excites me because, if elected, they will bring a collective fresh perspective to council chambers,” said Guptill. Guptill had been mulling over the idea of seeking the job of mayor -- giving it thoughtful consideration -- when she started seeing the many strong women putting their names forward. She realized, as her campaign hashtag clearly says, that #thetimeisnow, and that she wanted to be among the chorus of women to lead the change. Guptill said that the final decision came when she attended the recent Famous Five 25th Anniversary Conference, in the chambers of the Legislative Assembly of Prince Edward Island to mark International Day of the Girl Child on Oct. 11. Guptill believes in an open and transparent municipal government, one that works collaboratively with residents, businesses, stakeholders and other government partners of all levels. “I have extremely good working relationships with many community groups and stakeholders, as well as all three local cabinet ministers and the MP for Egmont,” she added. Through conversations with residents and business community, Guptill said the message is loud and clear that they want change, choice and vision, which has become the focus of her campaign and her campaign slogan. “Change will come to council chambers by having new fresh faces and more women on Summerside City Council,” said Guptill. “As a mayoral candidate – a new candidate in the realm of municipal politics – I have a new approach and new vision. As well, I haven’t been ingrained in City Hall for 20 plus years, rather I have been out there working in the trenches alongside some of Summerside’s most vulnerable as well as working with its business leaders to help launch and grow their businesses. Guptill concluded by saying that she hopes the support she has already received since her announcement will translate into support come election day on Monday, Nov. 5. The Connected Farmer - From Passion To Fruition! I have always had a passion for helping Canada's Agriculture sector! I started supporting the sector back when I worked with the City of Summerside in Economic Development, and we assisted an organization with the promotion of Farm Diversification into Agri-Tourism. That was back in the early 2000's. We helped organize information events at the Loyalist Country Inn & Conference Centre, conducted research, assisted with the events, and promoted those events through our communication channels at the time. 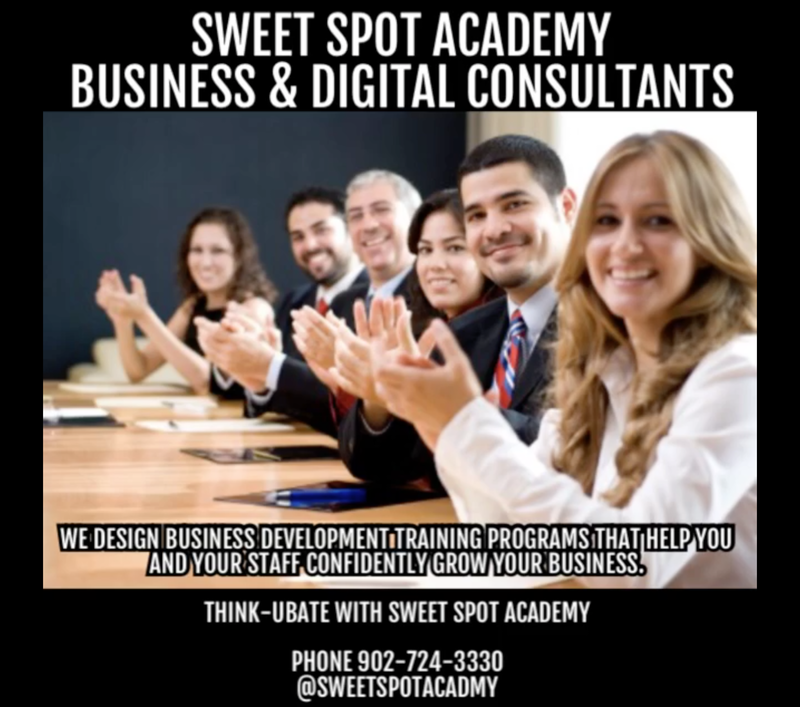 Starting in 2008, I launched Sweet Spot Academy (formerly known as Sweet Spot Marketing) and started working directly with producers, commodity groups, agri-businesses, federal and provincial government and a number of other industry players. In 2009, I started delivering the Connected Farmer digital marketing and social media training program throughout the Maritimes, working with Federal and Provincial Governments, as well as different Federations of Agriculture and Commodity Groups throughout the region. In 2015, I became one of seven certified Real Dirt on Farming Speaker Bureau facilitators and thoroughly enjoyed delivering the program within the Maritimes and Ontario through Farm and Foodcare Canada. The Connected Farmer: we're an experiential digital marketing and communications company that bridges the gap between gate to plate by providing consumers and Canada's Ag sector with opportunities to meet, mix and mingle. We're excited to unveil the wrap to proudly present Canada's first online Agriculture trade and consumer show. We know consumers are turning to the internet to source information on the food they eat. We also know there is a lot of misinformation out there in the market place. 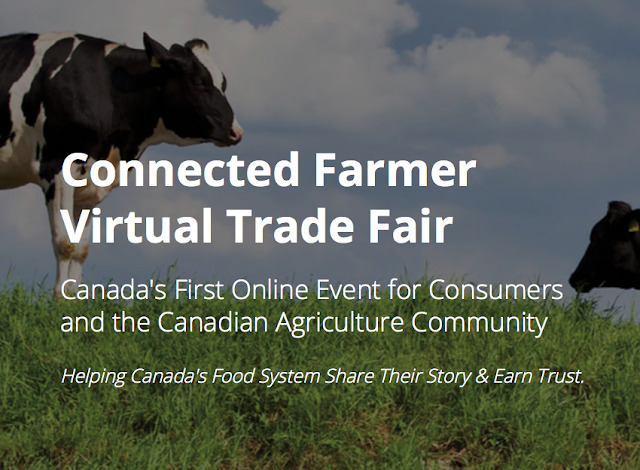 The Connected Farmer Virtual show provides a digital space for consumers and Canada's Ag sector to come together and share the #RealDirt on Farming. Nancy Beth is the President and Executive Consultant at Sweet Spot Academy, and co-founder of the Connected Farmer. As an Internet and Digital Marketing veteran, Nancy Beth has vast experience in Internet Marketing, Social Media Marketing, Online Safety and Protecting Your Digital Footprint. Since 2010, Nancy Beth has been highly sought after to share her message on being a Digital Leader, using the Internet & Social Media for good, and how to safely navigate the Social Web. The timeless saying ‘If you think you can you will, if you think you can’t you won’t” is the perfect example of becoming your thoughts. 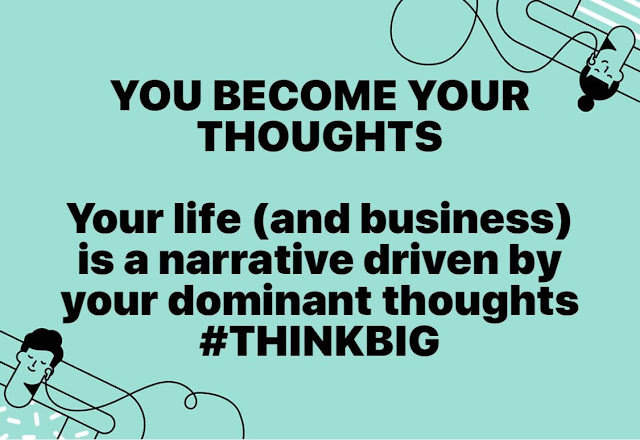 Often our biggest battles in life are those that take place inside our own mind, and the self-limiting beliefs we impose on ourselves. As someone who works with vulnerable people, I often work with clients who do not know their value or their worth, and therefore believe the many lies others have put over them. Today, I worked with a client who received some pretty big accolades on their work performance of which they had never heard about themselves. They are not used to hearing others tell them how important and valuable they are, especially from someone in a position of authority over their work life. The client found the positive feedback so overwhelming they broke down and cried, and when they received even more positive feedback they were so uncomfortable it lead to a full fledged panic attack. It is so important, no matter where you are in your life or business, to keep your mind focused on what you want to achieve and gain in life, and to surround yourself with like minded positive people who share your values. Conflicted relationships in both business and personal can really drag you down. You have to question continued involvement when values clash and constantly facing crises moments. Putting boundaries up and exiting those relationships may be best. This is the lesson my client learned today. That there are people and circumstances they need to claim back their power from, put up boundaries with some, while completely terminating relationships with others. Their low self-esteem is rooted in toxic relationships with specific people who constantly discredit their abilities, resulting in them putting up emotional barriers of self-doubt to a point where they held themselves back from achieving greater success in life because they felt they were incapable of doing the work. When they heard from their superiors the confidence and abilities they see in them, it was an overwhelming experience because they are not used to people complimenting them. 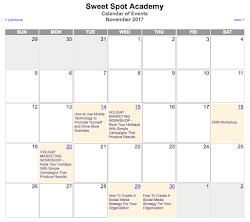 Sweet Spot Academy offers a suite of scalable solutions that simplify the 'how' to keep your business moving forward. We work with entrepreneurs, small business and nonprofit organizations to filter out the noise and confusion in an overcrowded digital landscape to find practical answers and solutions that helps solve their business need or problem. Ultimately, we help you define what you are truly after, then help you focus your budget and your time in the places that will yield the best return on your investment. Hey PEI! Nancy Beth Guptill here! I am excited to announce that through SWEET SPOT ACADEMY I am joining the snapd PEI team under the leadership of Keith MacLean as the Community Builder for Western Prince Edward Island. 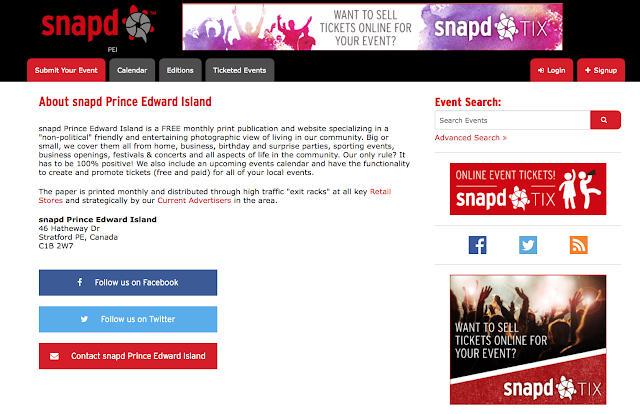 snapd Prince Edward Island is a FREE monthly print publication and website specializing in a "non-political" friendly and entertaining photographic view of living in our community. Big or small, we cover them all from home, business, birthday and surprise parties, sporting events, business openings, festivals & concerts and all aspects of life in the community. Our only rule? It has to be 100% positive! We also include an upcoming events calendar and have the functionality to create and promote tickets (free and paid) for all of your local events. We are excited to launch the first issue of snapd PEI in January 2018. We are your connection to your community, highlighting all the good works of individuals, organizations and private business. We specialize in community-based advertising, public relations, networking and marketing initiatives. We use media vehicles that are photographically rich, and free to consumers, showcasing the life, entertainment and overall spirit of each community we operate in. We emphasize customer service and relationship building, technology, marketing savvy and attention to detail to deliver our products across print, web and other visually dynamic media. You can be a self-publisher by utilizing some of our FREE online apps and tools. You can download the snapd app and submit photos and community focused news items through the app, and you can promote your upcoming event on our FREE online event listing board which is fully social media optimized. Visit https://pei.snapd.com/about-snapd for more information and to list your upcoming events. If You've Ever Thought About Investing in Constant Contact Digital Marketing Platform, NOW Is The Time To Buy! 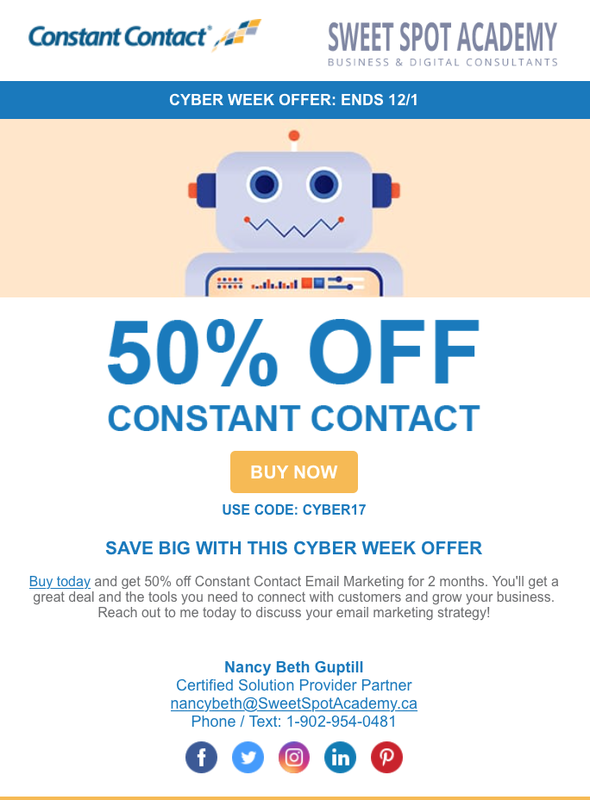 I can honestly say with the many enhancements Constant Contact has made to it's Digital Marketing platform in the past year, it has incredible features and functionality for all your digital and social media marketing needs.